The Canadian Animal Health Institute (CAHI) is the trade association representing the developers, manufacturers and distributors of animal pharmaceuticals, biologics, feed additives and animal pesticides in Canada. 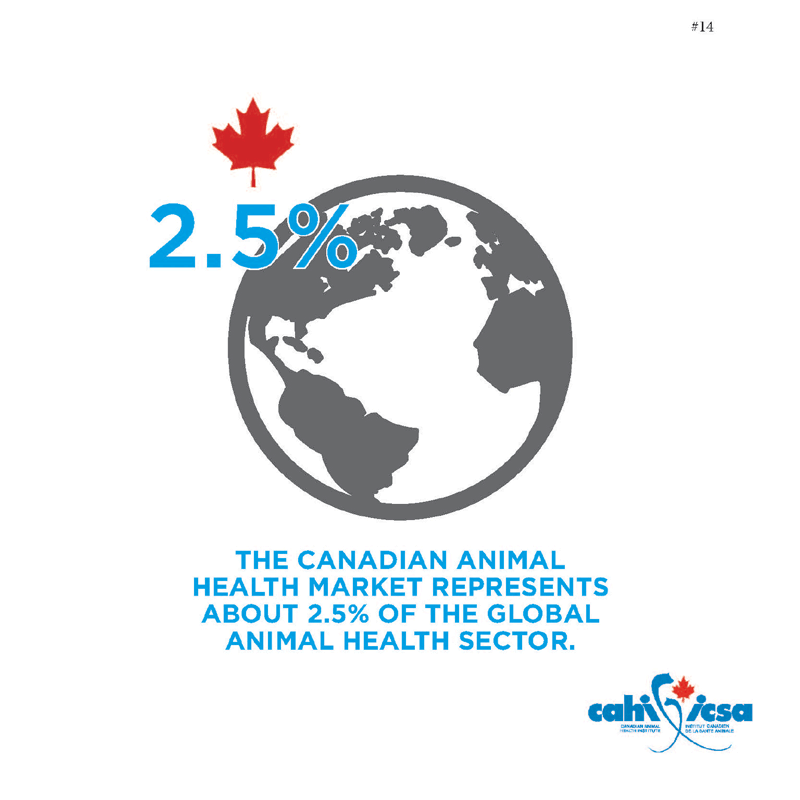 CAHI is a national association, whose members are responsible for sales of approximately 95% of the animal health product market in Canada. We are a registered, non-profit organization, solely funded by annual membership fees. Sales by CAHI member companies in 2017 were approximately $805 million. There are over 60 members in the CAHI falling into two categories, Full Members and Associate Members. Stakeholder relations, issues monitoring, collaborative projects are among the benefits of CAHI membership. From a broader perspective, animal health is firmly linked to human and environmental health and encourages us to work together to achieve the best health for people, animals, and our environment. CAHI works with governments, veterinarians, farmers, pet owners and the general public. We actively participate on national and provincial working groups, coalitions and committees with the goal to support animal health and animal welfare. CAHI advocates for a predictable, science and risk-based regulatory approach for animal health products in the Canadian marketplace to the benefit of all Canadians. It supports international regulatory harmonization, trade and innovation. CAHI is a member of Health for Animals (formerly the International Federation for Animal Health) and an observer on the VICH, the International Cooperation on Harmonisation of Technical Requirements for Registration of Veterinary Products. CAHI will remain the trusted science-based voice of the Canadian animal health industry.